So I've got three weeks to finish it. I've found an old yellow Turbo saddle from eBay. It's a bit tatty but will do. Any suggestions on cleaning it most welcome. Due to time and money it will have to have a Shimano 600 group set as I have one of these knocking about. Anyway I'll post it as the build continues and then show you how it turns out for the Eroica in a few weeks. I have a biopace crank with brown rings. I think this will look good. Or I have a standard 600 crank. the Owner Gallery was intended to show of finished ready to ride bikes. You'll get more responses if you move your post the the Vintage Forum where members show their recent finds, works in progress and post inquiries. For starters, your frame only has a single water bottle mount. 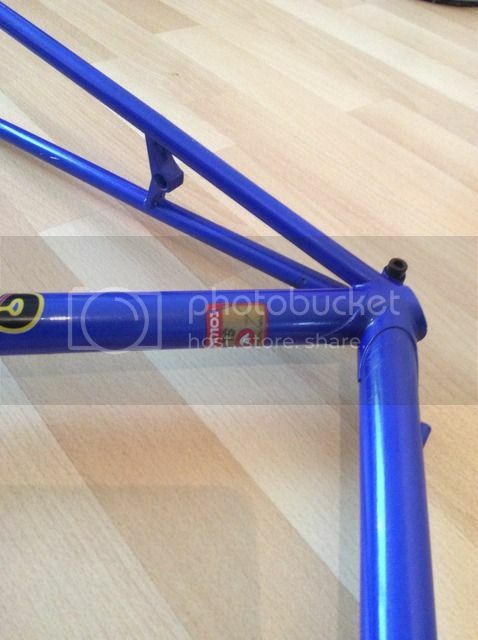 By the mid 80's most performance bikes had mounts on the down tube and seat tube. I've never seen a Gitane frame with that style of rear brake bridge. They were usually found on Italian built frames. Gitane used this style of brake bridge on their top models. Lastly, during the early to mid 1980's Gitane used these short point lugs. In 1985 they went back to these long point lugs on their Pro frames. Gitane, Peugeot and Motobecane made variations for the different world markets and your frame may have been a special make item??? They also built some special order frames for the French market. 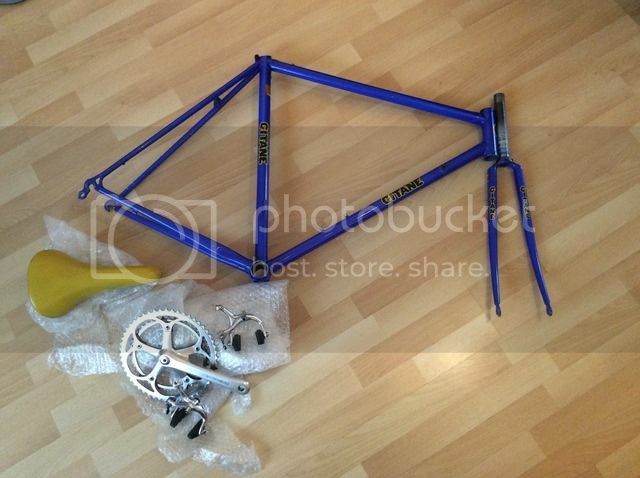 My 1984 Gitane Team Pro frame as i received it. 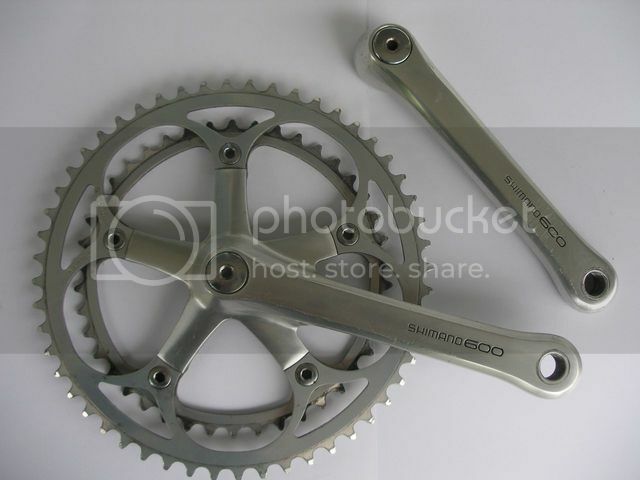 To answer your question about cranks, I like Shimano Biopace chainrings for climbing but I think that your bike would look better with the silver 600 cranks. they look to be in better condition too. 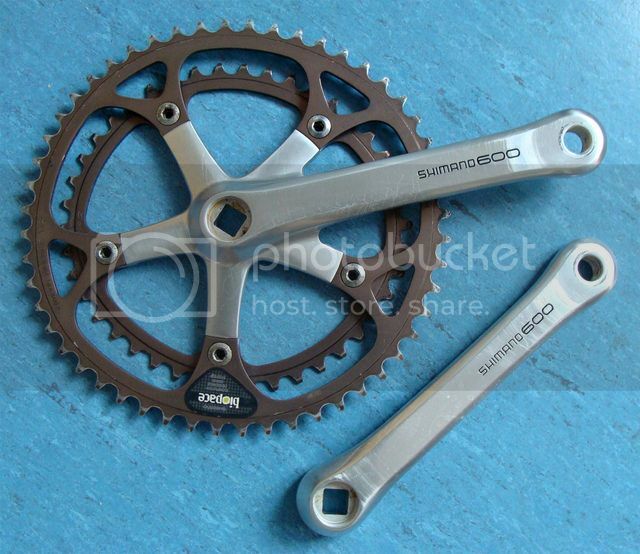 The later Shimano 600 components like yours were near the top of their product range and worked well. 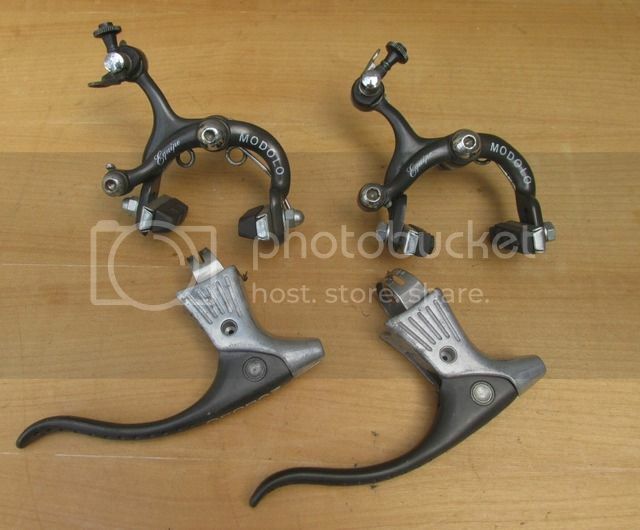 Newer Shimano RC55C4 brake pads and blocks will improve the braking drastically and they're inexpensive. They come in gray or silver. I found the frame at a car boot (trunk!) sale. Guy reckoned it was 1985 but knew little about it. Perhaps it isn't a Gitane? But it looks a nice frame and will be fun for event. Is there a way of moving this thread or should I start again?